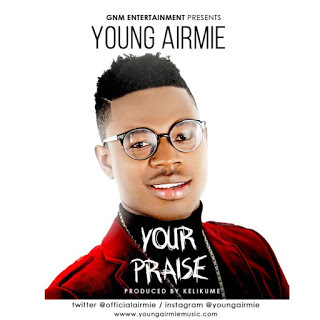 Young Airmie is an Gospel/Inspirational music artist. His ability to create incredible music is quite amazing. This overwhelmingly talented young man wants to use music as a tool to motivate, restore hope to the hopeless and also take the Gospel of Jesus Christ to the four corners of the earth. The single “Your Praise” is a fast tempo Gospel-Dancehall tune off his recently released E.P titled “Christomaniac”. Enjoy, download, and share “Your Praise” to all your friends and loved ones, and don’t forget to leave your comments or concerns behind.